Especially if you are looking for a TIME EFFICIENT workout and can’t afford double day workouts that include five 45-minute morning cardio workouts plus 5 weight training workouts in the evening (which is another option but not for busy people). I was skeptical because he recommends less supplements then I do, minimal cardio and you don’t even need to be a member of a gym. Here is a little interview I did with him recently (Part 2 is coming on Wednesday). After the interview, I’m going to tell you about some outrageous fat burning workouts and meal plans he’s giving away to help you lose your belly fat and fit into smaller clothes before swimsuit season. 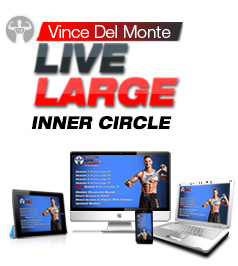 Vince: How do you personally maintain your ‘Mens Health’ physique? Craig: I train very similar to my Fusion Fat Loss and Hard-core TT programs, using a lot of classic barbell exercises, some olympic lifts, and then single-leg exercises and bodyweight exercises to finish it off. I train 3 days per week, but sometimes I go in for a 4th day just because, hey, I find training to be fine. But I have to hold back otherwise my joints get overworked from lifting and some other sports combined. Nutrition wise, I don’t think I eat anything from a bag or a box, with the exception of the chocolate milk I drink after training. I eat a lot of fruits, vegetables, dry roasted almonds, pecans, walnuts, eggs, steak, chicken, sweet potatoes, and cheese. Even a couple of beers per week. But I try to eliminate all sugar – again, with the exception of the chocolate milk after training. Not only do I stay magazine-lean with this approach, but I don’t get tired or mentally fatigued during my day of work. If I eat a lot of carbohydrates, such as pasta or oatmeal, I find I get sleepy. Vince: Tell me about your own personal weight training program? Craig: This is my 3-day routine right now. 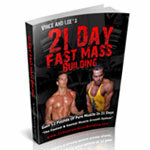 Total body workouts, with a different main exercise each day, and then the rest of the exercises are superset’s. This is working out well. It changes every 4 weeks. My deadlift is about as strong as ever, but squat and bench are a little low…focus is on boosting my squat for the next 8 weeks. 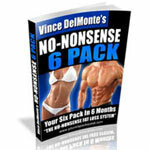 Vince: Do you have any ‘little known’ diet tips to get ‘men’s health’ abs? Craig: Personally, I find that eliminating grain-carbohydrates from my diet is an ultra-fast way to help me go from 10% to 8% body fat. Probably takes 3 weeks or less. And I can even do this while consuming some dairy, which a lot of people think holds them back from getting really lean. So I just eat fruits, vegetables, nuts, and my post-workout chocolate milk to get carbohydrates. And that is the nutrition key. With that approach, I don’t even have to do any interval training. Just weight training. I do a little unstructured interval training when I walk my dog (I just do a few sprints whenever I feel like getting my dog to chase me), but I don’t have to do intervals to get really lean. For ab exercises, I really like cable ab exercises, and hanging leg raises and pullups combined with a knee up. 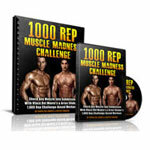 Plus, I’ll mix in a bunch of bodyweight ab exercises into my warm-ups. 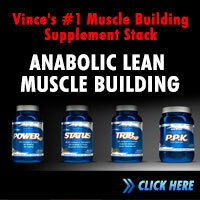 Vince: Why you don’t use supplements? Craig: For me, the only supplements that work for building mass are creatine and meal-replacement drinks. But the latter is just another source of convenient calories, so I sub in chocolate milk. I have used creatine in the past, but right now I just want to see how I can do without it. For fat loss, I call B.S. on any supplement that claims to help someone lose fat fast. I don’t believe anything works. For health, I do use supplements. I consume several tablespoons of Omega 3-6-9 blend oils per day, fish oil, Green Tea (I guess this doesn’t count as a supplement), and Greens-Plus (which I’m not even sure if I need because I eat a ridiculous amount of vegetables everyday). You see why Craig’s TT workouts have helped tens of thousands of men and women escape the prison of long workouts, crowded gyms, and more importantly, the shackles of unwanted, ugly belly fat? And as I mentioned, Craig turned 33 yesterday, but he’s the one giving away the gifts. 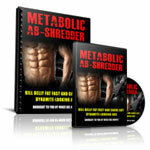 In fact, he’s giving us over $537 of fat burning workout bonuses and meal plans to help every busy man and woman lose belly fat fast. Again, this entire package is only available for less than 72 hours. On Wednesday, May 7th, at 11:59pm, the 10 new bonuses will disappear from the offer, quite possibly never to be given away again. Just a few days ago Craig awarded the winner of his transformation contest $2000 – you have to check out this girl’s physique. …maybe you should just wait until New Years again to set the same goals? Or maybe you should ‘man up’ and grab the information that can take you from a fat loss plateau to a brand new body just in time for summer! After you check out Craig’s website, if you are truly serious about burning off your belly fat then I have no problem recommending the Turbulence Training fat burning workouts and the fantastic nutrition bonuses to change your body once and for all.